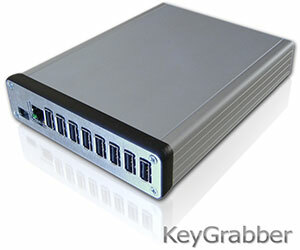 The KeyGrabber Forensic is a record-breaking USB hardware keylogger in terms of size, keyboard compatibility, and price. It measures only 0.4" (10 mm) in length, and can be accessed as a USB flash drive for instant data retrieval. It's by far the most miniaturized and discreet hardware keylogger available on the market. It's also an advanced penetration testing tool, with a built-in scripting language. The AirDrive Forensic Keylogger is an innovative ultra-small USB hardware keylogger, only 0.4" (10 mm) in length. It can be accessed with any Wi-Fi device such as a computer, laptop, tablet, or smartphone. It is the smallest hardware keylogger available on the market, making it a professional surveillance and security tool. The Pro version offers time-stamping, E-mail reporting and data streaming. The AirDrive Forensic Keylogger is a series of specialized hardware keyloggers with Wi-Fi access, aiming at minimizing the risk of exposure. They diverge from the classic USB adapter shape, making them nearly impossible to locate. Available as a USB extension cable and keyboard-embeddable module only 0.5" (12 mm) in length and width. 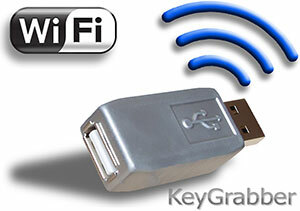 The AirDrive Keylogger is an innovative ultra-small USB hardware keylogger, only 0.8" (20 mm) in length. It can be accessed with any Wi-Fi device such as a computer, laptop, tablet, or smartphone. The Pro and Max versions offer time-stamping, E-mail reporting, data streaming, and up to 8 gigabytes of built-in memory. 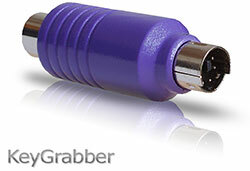 The KeyGrabber Pico is an innovative ultra-small USB hardware keylogger, only 0.8" (20 mm) in length. Up to 8 gigabytes memory capacity, organized into an advanced flash FAT file system. Super-fast data retrieve, completely transparent for computer operation, no software or drivers required. This USB hardware keylogger has a huge 16 MB or 8 GB memory capacity, organized into an advanced flash FAT file system. Super-fast data retrieve is achieved by switching into Flash Drive mode for download. Completely invisible for computer operation, no software or drivers required. All the features of the KeyGrabber USB keyloggers with an additional time-stamp module and battery. Find out not only what was typed on the keyboard, but the exact date and time when it was typed! Huge memory capacity of 8 GB, with fast access via USB. A timestamping hardware keylogger packed with features, but still at an affordable price. The AirDrive Mouse Jiggler is a small and discreet USB device preventing the screen-saver from activating and the computer from going to sleep. It works as a USB mouse mover and makes an unnoticeable cursor movement every few minutes. A programmable mouse and keyboard version is also available. The AirDrive Serial Logger is an innovative compact serial and RS-232 logging device, only 2.4" (61 mm) in length. It can be accessed with any Wi-Fi device such as a computer, laptop, tablet, or smartphone. The Pro and Max versions offer time-stamping, E-mail reporting, data streaming, and up to 8 gigabytes of built-in memory. The MorphStick Keyboard 2 Ethernet is a compact network device capable of acquiring keyboard and barcode reader data and sending it over the network. The MorphStick Ethernet 2 Keyboard works the opposite way, by generating USB keystrokes based on received data. Available features include Power over Ethernet, date and time-stamping and embedded flash memory. The MorphStick Serial 2 Ethernet is a compact network device capable of acquiring serial and RS-232 data and sending it over the network. The MorphStick Ethernet 2 Serial works the opposite way, by generating serial data based on incoming data over Ethernet. Available features include Power over Ethernet, date and time-stamping and embedded flash memory. The MorphStick Keyboard Multilogger is a multiple channel keyboard recorder. Captured data may be stored to internal flash memory or streamed in real-time over local USB or Ethernet to any chosen IP address. A 3-channel and 5-channel version exists, combining tap-mode and host-mode USB data acquisition. Want to take key-logging to the next level? 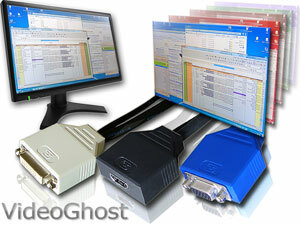 Grab entire screenshots with this hardware video logger! This tiny framegrabber hooks up to the DVI, VGA, or HDMI port of the graphics card, and silently records a screenshot every few seconds. You can later view all captured frames as JPEGs, by switching this video-recorder to a 8 gigabyte USB flash drive. Patent pending, edge cutting technology at an affordable price! 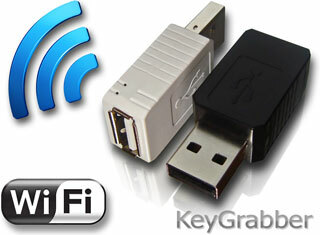 The world's first hardware keylogger with built-in Wireless LAN support! This keylogger connects to the Internet through an Access Point, and sends captured keyboard data as E-mails. With this Wi-Fi hardware keylogger, you can silently monitor a computer from anywhere in the world, just by checking your mailbox! Ultra stealthy, undetectable for software. The smallest hardware keylogger on the market, just one inch long! Totally stealthy, undetectable for software, almost impossible to spot. 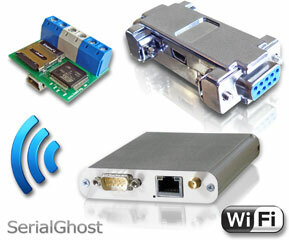 A version with built-in Wireless LAN support is also available! The Wi-Fi keylogger silently connects to an Access Point, and sends E-mail reports containing recorded keystroke data. Wherever you are, just check your mailbox to find out what the KeyGrabber Nano has captured. All this in a hardware keylogger smaller than a USB plug! Advanced PS/2 hardware keylogger with up to 8 GB internal flash memory. This keystroke logger features a wide variety of options accessible from a text menu. No software or drivers necessary. The USB Download Accelerator allows retrieving the entire memory in just a few seconds! Special low-profile hardware keylogger module, embeddable inside a PS/2 or USB keyboard. Universal 0.1" connectors guarantee full compatibility. Once mounted, this device is completely invisible for the eye and for software. Four different versions available.